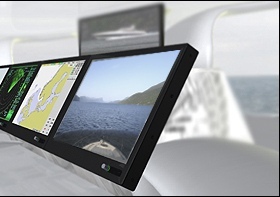 Entertainment systems based around Hatteland Display’s flagship marine monitors. 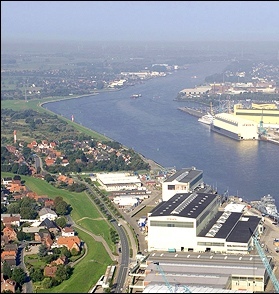 The Lürssen Group has awarded Hatteland Display a €200,000 contract to supply marine displays for the entertainment and information systems onboard a sophisticated new superyacht currently in production at the Lürssen Yachts yard in Kiel, Germany. Hatteland Display will supply over 60 Series 2 15” and 19” MMC displays. The Series 2 range won a ‘Red Dot Design Award’ in June 2007 forits high standards in form and functionality. 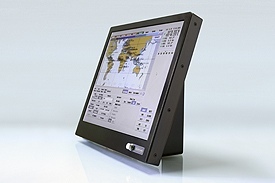 As the only marine display system to offer the choice of delivery as a monitor (marine multi display – MMD) only or a monitor combined with a computer (marine multi computer – MMC), Series 2 is ideally suited to the entertainment and information systems of large, luxury private and commercial vessels. 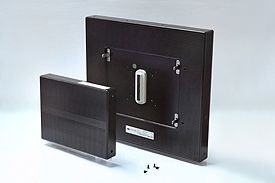 The modular backpack, which docks into the rear of the screen and can be either an interface unit or interface and marine computer, is the key to the application flexibility offered by Series 2. 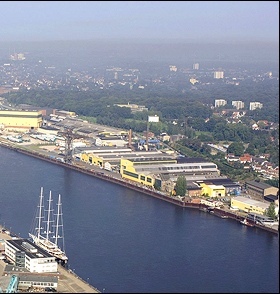 Both modules are the same dimensions for easy future upgrades and straightforward servicing and accept multiple inputs, which in the case of Lürssen Yachts’ new vessel, could include everything from DVD and passenger information to CCTV and chart-based voyage data. Since its introduction in 2006, Series 2 has proven itself to be the ideal marine display system across all applications. Hatteland Display’s system integrator partners use it within their bridge and navigation solutions whilst many yards and designers integrate it directly into a vessel for applications as diverse as engine room and service through to entertainment. specialises in the design and build of luxury yachts, research ships and naval vessels alongside a plethora of unique SAR and supply vessels.